20 Sep 1920, MR G. E. BLANCH. 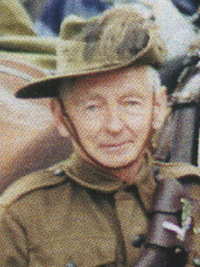 Mr George Ernest Blanch, who died early on Saturday morning, was born in England 57 years ago. After a public school education he went to Christ Church, Oxford, where, in 1887, he graduated M.A. with first-class honours in natural science. Mr Blanch later took the degree of Bachelor of Science of the London University. In 1892 he came out to the Sydney Grammar School as senior mathematical and science master, which position he held until 1898. In that year Mr Blanch was appointed headmaster of the Church of England Grammar School, Melbourne, and the sixteen years of his headmastership there saw a great advance in all of tho school's activities. The deceased gentleman was appointed headmaster of Christ's College 5 in September, 1914, and took up his duties at the beginning of the following year. Though of a retiring disposition, and one who took little part in public life, Mr Blanch endeared himself to all who came in contact with him. His influence for good upon the boys of the College was extensive, and his loss is keenly felt by both masters and boys. It was always Mr Blanch's endeavour to add to the College buildings, and most of the numerous new school buildings were erected during his term as headmaster. He was a member of the Standing Committee of the Anglican Synod, and of the Diocesan Education Board. BLANCH, GEORGE ERNEST (1864-1920), educationist, was born on 30 July 1864 at Great Malvern, Worcestershire, England, son of Joseph Benson Blanch, a Wesleyan minister of yeoman stock, and his wife Mary Spencer, née Hall. Blanch was educated at Kingswood School, Bath, and went up to Christ Church, Oxford, on a natural science scholarship. He graduated B.A. with first-class honours in chemistry in 1886 (M.A., 1890), and had also entered for the examinations of the University of London, where he graduated B.Sc. in pure mathematics, chemistry and physics in 1886. [S185] Property Titles. ; PROV (Public Records Office Victoria), C/T 2111-075 - George Ernest Blanch of St Kilda Road South Yarra Head Master of The Church of England Grammar School Melbourne - C/T 3368-581. [S185] Property Titles. ; PROV (Public Records Office Victoria), C/T 3368-581 - William Alexander Watt of Park Street Moonee Ponds Member of Parliament. [S14] Newspaper - Press (New Zealand), 20 Sep 1920, p6. [S11] Newspaper - Argus 20 Sep 1920, p8. Select Bibliography: Melbourne Church of England Grammar School, Melburnian, Dec 1898, Dec 1914, May, Dec 1915, Dec 1920; Punch (Melbourne), 31 Aug 1911; G. E. Blanch, Letter to Edwin Bean, 1 May 1890 (Sydney Grammar School Library); Christ's College register, Dec 1920 (Canterbury, New Zealand). Print Publication Details: I. V. Hansen, 'Blanch, George Ernest (1864 - 1920)', Australian Dictionary of Biography, Volume 7, Melbourne University Press, 1979, pp 324-325. [S185] Property Titles. ; PROV (Public Records Office Victoria), C/T 1946-122 - John Milne of Beaconsfield Hotelkeeper. [S185] Property Titles. ; PROV (Public Records Office Victoria), C/T 2946-181 - Joseph Goldswoth Hollow of Swan Street Burnley in the County of Bourke Contractor. [S185] Property Titles. ; PROV (Public Records Office Victoria), C/T 2318-484 - Country Roads Board - C/T ?-953 (Title torn). [S185] Property Titles. ; PROV (Public Records Office Victoria), C/T 3037-391 + C/T 3039-747 - Country Roads Board - C/T 4525-957. [S185] Property Titles. ; PROV (Public Records Office Victoria), C/T 2644-623 - Country Roads Board - C/T 4574-614. [S185] Property Titles. ; PROV (Public Records Office Victoria), C/T 3762-278 - Louisa Jane Bevan to Country Roads Board - C/T 4578-522. [S185] Property Titles. ; PROV (Public Records Office Victoria), C/T 4424-726 - transfer as to part to Country Roads Board - C/T 4668-549. [S185] Property Titles. ; PROV (Public Records Office Victoria), C/T 4060-964 - Country Roads Board - C/T 5109-782. [S185] Property Titles. ; PROV (Public Records Office Victoria), C/T 4094-609 + 4942-361 - part transfer to Country Roads Board C/T 5120-875. [S185] Property Titles. ; PROV (Public Records Office Victoria), C/T 3263-560 - Charles Richard Ricketts, John Thomas Shanks, John Tyler and John George Lewis to Country Roads Board - C/T 5474-621. [S185] Property Titles. ; PROV (Public Records Office Victoria), C/T 3215-879 - John Thomas Shanks to Country Roads Board - C/T 5539-664. [S185] Property Titles. ; PROV (Public Records Office Victoria), C/T 5464-703 - Country Roads Board. [S185] Property Titles. ; PROV (Public Records Office Victoria), C/T 4121-161 - transfer as to part to Country Roads Board - C/T 5605-951. [S185] Property Titles. ; PROV (Public Records Office Victoria), C/T 4848-408 - Country Roads Board - C/T 5642-327. [S185] Property Titles. ; PROV (Public Records Office Victoria), C/T 3932-243 - Country Roads Board - C/T 5927-344. [S185] Property Titles. ; PROV (Public Records Office Victoria), C/T 4662-244 - Transfer by Mortgagee to Country Roads Board - C/T 5944-680. [S185] Property Titles. ; PROV (Public Records Office Victoria), C/T 3081-082 - Country Roads Board - C/T 5946-153. [S185] Property Titles. ; PROV (Public Records Office Victoria), C/T 290-947 - Country Roads Board - C/T 6302-320. [S185] Property Titles. ; PROV (Public Records Office Victoria), C/T 6285-831 - Country Roads Board - C/T 8393-498 Reg 31 Jul 1962. [S185] Property Titles. ; PROV (Public Records Office Victoria), C/T 7433-589 - Country Roads Board - C/T 8410-773 Reg 24 Oct 1962. [S185] Property Titles. ; PROV (Public Records Office Victoria), C/T 2498-425 - Transfer B735944 - to CRB - C/T 8463-960. [S185] Property Titles. ; PROV (Public Records Office Victoria), C/T 8428-981 - C/T 8485-804 - Country Roads Board. [S185] Property Titles. ; PROV (Public Records Office Victoria), C/T 7191-075 - Country Roads Board - C/T 8715-869. [S185] Property Titles. ; PROV (Public Records Office Victoria), C/T 3170-931 - Country Roads Board - C/T 8727-384. [S185] Property Titles. ; PROV (Public Records Office Victoria), C/T 8770-065 - Country Roads Board - C/T 8983-335. [S185] Property Titles. ; PROV (Public Records Office Victoria), C/T 8248-303 - C/T 9026-054 - Country Roads Board. [S185] Property Titles. ; PROV (Public Records Office Victoria), C/T 8248-303 - C/T 9026-426 - Country Roads Board. [S185] Property Titles. ; PROV (Public Records Office Victoria), C/T 7191-075 - Country Roads Board -C/T 9039-030. [S185] Property Titles. ; PROV (Public Records Office Victoria), C/T 7234-602 - Country Roads Board - C/T 9031-419. [S185] Property Titles. ; PROV (Public Records Office Victoria), C/T 8775-573 - Country Roads Board - C/T 9062-077. [S185] Property Titles. ; PROV (Public Records Office Victoria), C/T 7608-052 - CRB - C/T 9092-291. [S185] Property Titles. ; PROV (Public Records Office Victoria), C/T 7608-052 - CRB - C/T 9092-292. [S185] Property Titles. ; PROV (Public Records Office Victoria), C/T 9069-874 - Melbourne and Metropolitan Board of Works. [S185] Property Titles. ; PROV (Public Records Office Victoria), C/T 9132-890+891 cancelled - application G549564 - C/T 9217-204+205. [S185] Property Titles. ; PROV (Public Records Office Victoria), C/T 9217-204 - new title issued 11 Mar 1977 - Country Roads Board (5787m2). [S185] Property Titles. ; PROV (Public Records Office Victoria), C/T 9026-054 - MMBW. [S185] Property Titles. ; PROV (Public Records Office Victoria), C/T 9132-891 - Melbouorne and Metropolitan Board of Works - C/T 9217-205. [S81] Land Records, Parish Maps & Council Rate Books. ; PROV (Public Records Office Victoria), C/T 8208-638 - C/T 9242-731 - Country Roads Board. [S185] Property Titles. ; PROV (Public Records Office Victoria), C/T 2669-603 - Country Roads Board - C/T 9242-732. [S185] Property Titles. ; PROV (Public Records Office Victoria), C/T 8408-754 - Country Roads Board - C/T 9242-734 (compulsory acquisition listed on 8 Dec 1972). [S185] Property Titles. ; PROV (Public Records Office Victoria), C/T 8981-708 - CRB - C/T 9242-729. [S185] Property Titles. ; PROV (Public Records Office Victoria), C/T 9242-735 - Country Roads Board. [S185] Property Titles. ; PROV (Public Records Office Victoria), C/T 9242-736 - Country Roads Board. [S185] Property Titles. ; PROV (Public Records Office Victoria), C/T 5758-459 - Country Roads Board - C/T 9242-733. [S185] Property Titles. ; PROV (Public Records Office Victoria), C/T 4857-290 - Compulsory Acquisition 3 Dec 1975 - registered transfer H376257 - C/T 9325-094. Parents: James Michie Watt, farmer, and Jane Douglas ; Marriage: (1) 21 December 1894, Florence Carrighan d.1896; (2) 24 April 1907, Emily Helena Seismann; 2s. 3d. 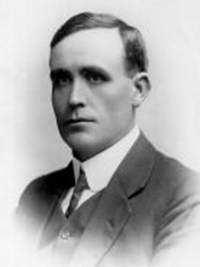 Occupation: Hay and grain merchant ; Religion: Presbyterian ; Education: North Melbourne state school ; Career: Became clerk in a North Melbourne tannery, then a hay and grain merchant; later a director of several companies and chairman Dunlop Rubber Company. Member Aust. Natives' Association and president metropolitan committee. Privy councillor 1920; commander Legion of Honour 1924. Party: Liberal - MLA North Melbourne October 1897 - October 1900 ; MLA East Melbourne October 1902 - May 1904 ; MLA Essendon June 1904 - July 1914 ; Resigned. Other seats contested: North Melbourne 1900. Non-Victorian Parliamentary Service: MHR Balaclava 1914-1929. Acting Prime Minister Apr 1918 - Aug 1919; Treasurer Mar 1918 - Jun 1920; Speaker 28 Feb 1923 - 13 Jan 1926. Death-Notice* 16 Sep 1946 WATT. - On September 13, at his home, 220 Orrong road, Toorak, William Alexander, beloved husband of Emily Helena Watt, in his 75th year. 5 Feb 1903, New Series ol Table Talk. ANECDOTAL PHOTOGRAPHS. XLXII. The Hon. W. A. Watt. The Hon. William Alexander Watt holds a rather unique record in Imperial politics; he attained to Cabinet rank when he was only twenty-eight years of age, and thus had "the dis tinction of being the youngest Cabinet Minister in the British Empire. People generally credit young men with qualities, good and bad, that they seldom pdssess." The young politician, the young cricketer, and the young poet are said to be headstrong, reckless, extravagant, visionary, and perhaps also brilliant, but unreliable. The " promising young man " in any calling, in politics, business, sport or literature, usually affords a striking example of the inaccuracy of these views. In cricket, the greatest glory of the higher Australian life, Clem Hill and Victor Trumper, for instance, displayed from their first appearances the nerve and judgment of a "veteran," only in a greater degree. And cer tainly we have never met a "headstrong" poli tician, either young or old. There never has been a politician who was not a "shrewd busi-ness man," a "clear and logical thinker," a "student of human nature," and a "master of practical affairs," The imaginative man, the dreamer, the visionary has not yet made his debut in politics. Naturally, for he would never be elected. Politics is an eminently pra-tical matter, indeed, a matter of business, the brilliant career of Mr. Joseph Chamberlain being the most striking example of this fact. The Hon. W. A. Watt is a born politician. From his earliest years, so it is rumoured, he was a most expert debater and a good man of business. And when he was a Cabinet Minister at twenty-eight years of age, the youngest Cabinet Minister in the Empire, he immediately demon strated his judgment and capacity, and showed that a young man could keep his head in the troubled atmosphere of Victorian political life. William Alexander Watt is an Australian by birth, hailing from Kyneton ; but he is of Scottish descent, and unites many of the character istics of the Australian and the Scot. Though he is a man of only medium height, he is power fully built, and his clean shaven face evinces great decision, and strength of character. His steadfastness, and sincerity are Scottish, while his energy and eloquence are Australian traits. He has been cut out by nature for a politician, and he has done everything possible by cultiva tion, observation and reading to strengthen his natural gifts in this direction. As a very young man, Mr Watt began to ac quire dramatic experiences of political life. He loved to attend election meetings; and, though he was too young to possess a vote, nevertheless he used to put awkward questions to the can didates, and work hard for his particular "man." When he was only thirteen, he took a prominent part in an election campaign for North Melbourne. His favourite was a typical John Bull, who pleased the boy greatly with his fiery eloquence. After hearing one of this gentleman's spirited orations, on returning home so fired was he with enthusiasm that he immediately set to work on an heroic poem, extolling the virtues of the candidate, inciting the electors to vote for him, the fate of the country depending on their verdict, and predicting his triumph in glowing verse. This poem, which Mr. Watt has since unfortunately destroyed, was circulated amongst the electors, but, sad to relate, the North Melbourne electors were not swayed by poetry and eloquence, for the fiery candidate was returned absolutely at the bottom of the poll. Yet, shortly after Mr. Watt had taken the Postmaster-General's chair, he received a deputation, headed by this very gentleman, and they recollected the incident with great enjoyment. Mr. Watt early resolved to stand for Parliament himself, but before taking this step he decided to thoroughly prepare himself. He studied hard at the "dismal science" of political economy, retaining the facts and ignoring the theories, and gave great attention to the art of debate. 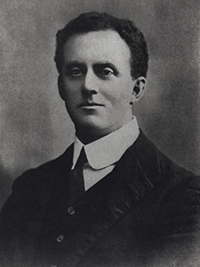 He joined the Australian Natives Association, which is now a body of great social and political importance, and which achieved splendid work by its powerful advocacy of the cause of Australian Federation. He belonged to the North Melbourne section, the largest metro politan branch, and had the honour of carrying off the first great debate organised by the A.N.A. In 1895 he was elected President of the North Melbourne branch, and this may be considered his first great step in public affairs. Two years later he stood for North Melbourne, and was elected after a close contest, and was at once chosen to move the address in reply to the Governor's speech. When Sir George Turner's Ministry was displaced, after holding office for over five years, and thus establishing an Australian record for long service with little result, the Hon. Allan McLean took over the reins of Government, and entrusted the important position of Postmaster-General to Mr. Watt, then the youngest member in the House. Mr. Watt's later political life has fully justi fied the confidence that was then placed in him. At present he is member for Melbourne East, and at the first election for the Senate, though he was not elected, he polled about 35,000 votes. As an organiser, an orator, and a political thinker, Mr. Watt is almost equally distinguish ed. He is admittedly one of our foremost ora tors, both in the House and on the public platform. He has a magnificent voice, and can easily fill the largest building, a sincere manner, that carries conviction with it, and a great command over terso and forceful language. As a popular speaker, he is singularly effective; he knows how to keep a crowd well in hand, and the hostile section of his audience seems to act as the necessary stimulus, his replies to interjectors being especially satiric and severe. In regard to his attitude to political affairs, Mr. Watt may be described as "independent" ... rect sense of the word. He is ... tician. He has no great love of ... time serving. He likes strong ... attacks, and strong opinions. The ... promise, of catering to the ... of trying to please everybody... entire disapproval. He believes in ... taking up a strong view ... arguing it for all it is worth. Mr. Watt is a fighter. Mr. Watt considers that ... of Reform will be solved shortly. ... in favour of the reduction of ... curtailment of Parliamentary ... with the strength of public opinion ... mous press, he believes that ... Parliament will soon come to ... legislation, Mr. Watt contends ... portant subject. Different legislation in New South Wales to that in ... the various States of the Commonwealth be put on an equal footing to ... petition. At present Victoria is ... where behind scratch. Doubless ... ... endeavour to keep ... themselves, but Mr. Watt may ... that the whole question of ... ... pass into Federal control. For ... Mr. Watt intends to restrict ... State politics. So many important ... problems have yet to be solved .. politics will not tempt him for ... come. Mr. Watt is in favour of ... improved land values, a rigid ... the Public Works Department, and .. State Insurance, such as prevails .. He believes also in the Government ... the pensions, and thus effecting a ... At present these pensions cost the ... about £342,000. When the ... their opinion on the pension ... lieved that at no time could they ... more than £75,000 ; but at one time to over £400,000. The Hon. W. A. Watt is President ... Association; for the furtherance of ... as opposed to the sport. In his ... was a cricketer, but at present he ... game of chess, and likes an ... at cards. He is in popular request ... at smoke nights, and is a first grade ... speaker. He confesses that he is a smoker, and he holds moderate views on the liquor question. References: Australian Encyclopaedia (ed. A.H. Chisholm), 10 vols, Sydney, 1958; Smith, J. (ed. ), 'Cyclopedia of Victoria', 3 vols, Melbourne, 1903-05, 2; Who's Who in Australia; Age, Argus, 14 Sept 1946; Australian Dictionary of Biography, Vol. 12, p.412-416. Last update: 2008 (last date the record was checked and updated)." [S185] Property Titles. ; PROV (Public Records Office Victoria), C/T 3368-581 - Joseph Martin Reed of "Calembeen" Upper Beaconsfield Surveyor. [S11] Newspaper - Argus 16 Sep 1946, p2. [S14] Newspaper - Table Talk, 5 Feb 1903, p12. Death-Notice* 4 Nov 1897 REED.—On the 3rd November, at his residence, Calembeen, Royal-crescent, Armadale, Joseph Reed (formerly town clerk of Creswick) aged 72 years. "So He bringeth him into his desired haven." THE Friends of the late Mr. JOSEPH REED are respectfully invited to follow his remains to the place of interment, the Brighton Cemetery. [S11] Newspaper - Argus 4 Nov 1897, p1. [S14] Newspaper - The Prahran Telegraph (Vic. : 1889 - 1930), Sat 6 Nov 1897, p4. [S14] Newspaper - The Ballarat Star (Vic. : 1865 - 1924), Wed 17 Nov 1897, p3. 2-001-B Reed Louisa F 8/11/1941 1091. Marriage* Spouse: Ellen Broomfield. England. Marriage* Spouse: Eva Annie Hill. Probably never married. In the Estate of Henry A Rainey, Decd. Beaconsfield Road About 4 Miles from Emerald. 266 AC 2 RD A. 16 PER or Thereabouts, Being Crown Allots 9a, 16, 16a, 142m, 19, 19a & 19b and Part Crown Allots 9 & 9b, Section E, Parish of Gembrook, County of Mornington on Which Is Erected a SIX ROOMED HOUSE and Outbuildings. About 20 Acres Orchard (Mostly Apples). About 30 Acres cleared Balance Timbered. Creek Through Property. And FARM IMPLEMENTS to be Sold In Lots. Lightning Fruit Grader, Waggon, 2 Ploughs, Cart, Harness, Cultivator, Spray Pump, &c. 1 COW. [S35] Probate Records, PROV (Public Records Office Victoria), VPRS 28/P3, unit 3581. [S9] Free BMD. Index. Online @ https://www.freebmd.org.uk/ "appears that his parents William RAINEY & Mary TURNER married Bridgewater Dec Q 1857 5c 695." ages given on this list are 33 and 29. Do Mrs Eva Housewife 32 Destination Melbourne." [S185] Property Titles. ; PROV (Public Records Office Victoria), C/T 2920-805 - Albert Turner of Emerald Farmer. [S185] Property Titles. ; PROV (Public Records Office Victoria), C/T 2470-936 + 3914-685 - Albert Turner of Emerald Farmer. [S185] Property Titles. ; PROV (Public Records Office Victoria), C/T 4435-909 - Albert Turner (Henry Albert Rainey) of Emerald Orchardist - C/T 4543-542. [S185] Property Titles. ; PROV (Public Records Office Victoria), C/T 4491-093 - Albert Turner (Henry Albert Rainey) of Emerald Orchardist - C/T 4543-542. [S185] Property Titles. ; PROV (Public Records Office Victoria), C/T 2920-805 - Eva Annie Hill of Emerald Road Spinster. [S185] Property Titles. ; PROV (Public Records Office Victoria), C/T 2470-936 + 3914-685 - Eva Annie Hill of Emerald Road Spinster. [S185] Property Titles. ; PROV (Public Records Office Victoria), C/T 2971-159 - Rose Evans to Albert Turner of Emerald Orchardist (also known as Henry Albert Rainey). [S185] Property Titles. ; PROV (Public Records Office Victoria), C/T 2420-953 - Transfer by Mortgagee - Albert Turner of Emerald Orchardist (also known as Henry Albert Rainey) - C/T 5464-703. [S11] Newspaper - Argus 6 Oct 1941, p4. [S185] Property Titles. ; PROV (Public Records Office Victoria), C/T 2470-936 + 3914-685 + C/T 2920-805 - Henry Albert Rainey (herein called Albert Turner) died on 3 Oct 1941. Letters of Administration of his estate have been granted to The Equity Trustees Exexutors and Agency Co Ltd.
[S185] Property Titles. ; PROV (Public Records Office Victoria), C/T 2470-936 + 3914-685 - Harry Sigurd Newman Sheet Metal Worker and Ivy Faith Newman his wife both of 251 Keilor Road Essendon - joint proprietors. [S185] Property Titles. ; PROV (Public Records Office Victoria), C/T 2920-805 - Harry Sigurd Newman Sheet Metal Worker and Ivy Faith Newman his wife both of 251 Keilor Road Essendon - joint proprietors. [S185] Property Titles. ; PROV (Public Records Office Victoria), C/T 4543-542 - Harry Sigurd Newman Sheet Metal Worker and Ivy Faith Newman his wife both of 251 Keilor Road Essendon - joint proprietors. [S185] Property Titles. ; PROV (Public Records Office Victoria), C/T 6595-934 - Harry Sigurd Newman Sheet Metal Worker and Ivy Faith Newman his wife both of 251 Keilor Road Essendon - joint proprietors. [S185] Property Titles. ; PROV (Public Records Office Victoria), C/T 2971-159 - Albert Turner/Henry Albert Rainey died on 3 Oct 1941 - letters of administration of his estate granted to The Equity Trustees Executors and Agency Co Ltd. - to Harry Sigurd Newman Sheet Metal Worker and Ivy Faith Newman his wife both of 251 Keilor Road Essendon. [S83] Online index to the UK census "Class: RG12; Piece: 1876; Folio: 72; Page: 14; GSU Roll: 6096986." [S83] Online index to the UK census "Class: RG13; Piece: 2277; Folio: 45; Page: 33." [S83] Online index to the UK census "Class: RG14; Piece: 14238; Schedule Number: 263." 4-342-B Turner Henry Thomas M 88 25/11/2003/ 6/01/2004 3252/3264. [S196] Newspaper - Dandenong Advertiser and Cranbourne, Berwick and Oakleigh Advocate (Vic. : 1914 - 1918) "18 Jan 1917, p2." [S11] Newspaper - Argus 29 Jul 1942, p6. Marriage* Spouse: Albert 'Boss' Turner. Probably never married. Death-Notice* 12 Jan 1946 TURNER.-On January 11, at Dandenong, Eva Annie, the dearly beloved wife of the late Albert Turner, of Dewhurst, via Beaconsfield Upper, and loving mother of Henry Thomas, of Flat 5, 5 Foster street, St. Kilda, aged 61 years. [S35] Probate Records, PROV (Public Records Office Victoria), VPRS 28/P3, unit 4245; VPRS 7591/P2, unit 1304. [S9] Free BMD. Index. Online @ https://www.freebmd.org.uk/ "as Annie Eva HILL." Issue: Harry Thomas Turner aged 31." [S11] Newspaper - Argus 12 Jan 1946, p16. [S83] Online index to the UK census "1891 census Class: RG12; Piece: 1768; Folio: 50; Page: 4; GSU Roll: 6096878." [S83] Online index to the UK census "1911 census Class: RG14; Piece: 14249; Schedule Number: 33." Thomas Turner aged 23 years, gardener of Sassafras was admitted to the Royal Melbourne Hospital yesterday and given an anti venom for snakebite. His condition did not appear to be serious. 23 Dec 1954, Constable Lord: "It all went black"
"One minute I was directing traffic; the next I was flat on my back. Then I woke up in hospital." That is how Constable Tom Lord, 34, described the sudden series of events that overtook him yesterday. From his bed in Prince Henry's Hospital, Constable Lord said he remembered directing traffic at the South Melbourne end of the Spencer st. bridge. "Traffic was pretty thick about 9 a.m.," he said. "Out of the corner of my eye I saw a big timber jinker coming toward me. Then everything went blank." Eye-witnesses said they saw the truck — unloaded — hit Lord. He fell beneath it. The back wheels passed over one of his shoulders. But Constable Lord's only injuries were a fractured left arm and abrasions. He is now in the Police Hospital. [S4] Registry of Births Deaths and Marriages Great War Index Victoria 1914-1920 "#B30491." [S22] Victorian Government. BDM Index Victoria (online) "as Chris Patricia HANSEN." Date of Birth: 9/11/1914 Burial Type: CREMATED. [S13] Newspaper - Herald Sun "20 Sep 2003 - viewed online 22 Jan 2014." [S35] Probate Records, PROV (Public Records Office Victoria), VPRS 28/P34, unit 117. [S11] Newspaper - Argus 12 Oct 1938, p3. [S11] Newspaper - Argus 24 Jun 1939, p1. [S11] Newspaper - Argus 23 Dec 1954, p6. Note* Larry Osborn has given over 15 years of support and technical assistance not only at the museum but at also at events. Larry plays a vital role in logistical and manpower support and also as lead brakeman of the horsedrawn vehicles. Larry served in the Royal Australian Air Force as a Wireless Technician to the rank of Flight Sergeant. 29 Apr 2009, Bunyip resident Larry Osborn joins Hillview resident Duncan Holman to lay a wreath at Hillview Hostel’s cenotaph. BUNYIP’S RSL branch gave seniors the chance to commemorate Anzac Day with a service at Hillview Aged Care Hostel. Members of the Bunyip community joined the hostel’s residents for the Anzac service on Friday. Some laid wreaths at the hostel’s cenotaph as a mark of respect to Australia’s fallen soldiers. [S185] Property Titles. ; PROV (Public Records Office Victoria), C/T 6025-926 - Larry Osborn of "Stonycroft" Upper Beaconsfiled an infant who attained the age of fourteen years on the fifth day of August 1937. [S185] Property Titles. ; PROV (Public Records Office Victoria), C/T 3936-023 - Larry Osborn of "Stonycroft" Upper Beaconsfield Radio Technician - C/T 8240-299. [S185] Property Titles. ; PROV (Public Records Office Victoria), C/T 6025-926 - cancelled application A904711 - C/T 8240-299. [S185] Property Titles. ; PROV (Public Records Office Victoria), C/T 8240-299 - Marvin Incestments (Aust.) Pty Ltd of 361 Nepean Highway Mordialloc - a first caveat (D888531) was lodged 17 Nov 1970, a second caveat (J289747) on 24 Dec 1980. [S18] Newspaper - Pakenham Gazette "22 Aug 2012, p4." [S13] Newspaper - Herald Sun "16 August 2012, viewed online." [S13] Newspaper - Herald Sun "27 August 2012, viewed online." [S18] Newspaper - Pakenham Gazette "26 May 1961." [S14] Newspaper - Pakenham Gazette, 29 Apr 2009 - viewed online. [S35] Probate Records, PROV (Public Records Office Victoria), VPRS 28/P3, unit 1916; VPRS 7591/P2, unit 787. [S1] Registry of Births Deaths and Marriages Pioneer Index Victoria 1836-1888 "#M2806." [S36] Inward & outward passenger lists to and from Victoria. Series: VPRS 14; 7666; 7667; 7786); PROV (Public Records Office Victoria), Assisted Migrants 10 332. [S35] Probate Records, PROV (Public Records Office Victoria), 52/630. Builder. Intestate. [S185] Property Titles. ; PROV (Public Records Office Victoria), C/T 1864-664 - Joseph Hollow of Richmond Contractor. [S185] Property Titles. ; PROV (Public Records Office Victoria), C/T 2101-034 - Joseph Goldsworth Hollow of Burnley Street Richmond Contractor - C/T 2123-482. [S185] Property Titles. ; PROV (Public Records Office Victoria), C/T 1864-664 - Kate South of the Vicarage Rochester Married Woman. [S185] Property Titles. ; PROV (Public Records Office Victoria), C/T 1889-604 - Mortgage 25 Feb 1889 - Discharged 6 Jul 1891. [S185] Property Titles. ; PROV (Public Records Office Victoria), C/T 1864-664 - Mortgage No 98741 - discharged 6 Jul 1890. [S185] Property Titles. ; PROV (Public Records Office Victoria), C/T 2123-482 - Mortgage No 110888 - John Punchard - discharged 28 Feb 1895. [S34] PROV (Public Records Office Victoria), Debtor's statement William Brisbane 1892. [S185] Property Titles. ; PROV (Public Records Office Victoria), C/T 2123-482 - Mortgage No 162997 - James Daniel Thomson - discharged 8 Apr 1897. [S185] Property Titles. ; PROV (Public Records Office Victoria), C/T 2123-482 - Mortgage No 177191 - John Morrison McBean - discharged 27 Jun 1903. [S185] Property Titles. ; PROV (Public Records Office Victoria), C/T 1956-053 + C/T 1946-122 - Joseph Goldsworth Hollow Swan Street Burnley Contractor. C/T 2946-181 - Mortgage No 223848 - discharged 8 Nov 1905 (former govt road from 3 Dec 1903). [S5] Registry of Births Deaths and Marriages Death Index Victoria 1921-1985 "#D11073 (Age 74) [par Ziba SUMNER & Mary Ann NORTH]." [S5] Registry of Births Deaths and Marriages Death Index Victoria 1921-1985 "#D17156 (age 82) [par Uriah HOLLOW & Elizabeth GOLDSWORTHY]." [S11] Newspaper - Argus 6 Oct 1928, p13. [S12] Newspaper - South Bourke and Mornington Journal 19 May 1886, p2. [S12] Newspaper - South Bourke and Mornington Journal 18 Nov 1903, p2. [S11] Newspaper - Argus 17 Jul 1905, p1. [S3] Registry of Births Deaths and Marriages Edwardian Index Victoria 1902-1913 "Elizabeth HOLLOW died at Beaconsfield #D7811 age 88 [par Colin GOLDSWORTHY & Mary Ann MALLARD]." [S11] Newspaper - Argus 9 Oct 1928, p6.